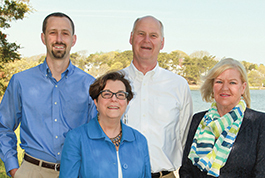 In the following interview, Ed and Agnes Chatelain, broker associates, Realty Executives Cape Cod Hyannis in Cape Cod, Mass., discuss education, giving back, and marketing. Region Served: Cape Cod, Mass. You have a steadfast commitment to community service. Please describe your philosophy of giving back. Not only have we been involved in the community for years, but we also believe that our community provides excellent services. And to be great real estate professionals in the area, we also need to give back to this community that supports us. We also believe that being involved in the community provides us a first-hand glimpse into the benefits provided, which allows us to educate our buyers. Educated consumers make good decisions, and there’s no limit to what we can achieve if we can make good decisions. You use an integrated marketing strategy, including print and specifically, Homes & Land. How does it benefit you? Homes & Land is one of the better avenues we have for marketing. Not only are our listings printed in the magazine—something our sellers value—they’re also displayed on the internet. This marketing strategy integrates us into other areas such as The Wall Street Journal because of its broad reach. By doing a great job for our clients. The three words that best describe us would have to be service, service, service. We do everything we can to make the whole process as smooth and simple as possible. In the end, our goal is to make sure our clients have no headaches as they make their way through a purchase or sale. What is one thing you do that your clients love you for? Communication. 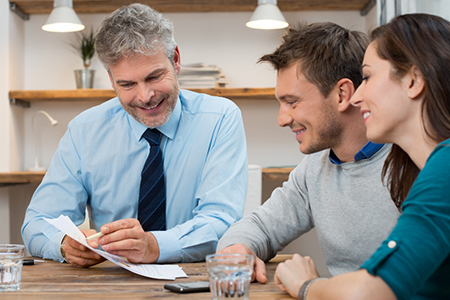 If our buyers or sellers have a question, we get back to them almost immediately. Buying a home is one of the biggest investments our clients will make, and they want to know how things are progressing. Even if we don’t have the answer at that specific moment, we get back to them and let them know where we stand. This goes a long way toward showing that we’re truly there to help them. Honesty. And, in keeping with the communication theme, we listen to what people say and to what they actually want. If you take the time to listen and then guide people in the right direction, they’re able to make good decisions. And that, after all, is what finding success in real estate is all about. For more information, visit www.newpointmediagroup.com.